Tangled and True: Women's Conference. This year I spent my birthday decorating for our stakes (church) women's conference (theme above). When they originally asked me to be in charge of the decorating I didn't realize it was going to be the morning after my birthday. I do have to say that although I spent my entire birthday at the church, I had an amazing amount of love and support from family and friends. In the end it really was a great birthday. Ryan hung strands of lights and pom poms/lanterns/poufs all over the gym for me. The hope was to bring the ceiling down and detract from the basketball hoops etc. While the pictures show all the things I wanted to disguise, I do feel like in real life the lights and poms were indeed effective. Each table had three glass jars. 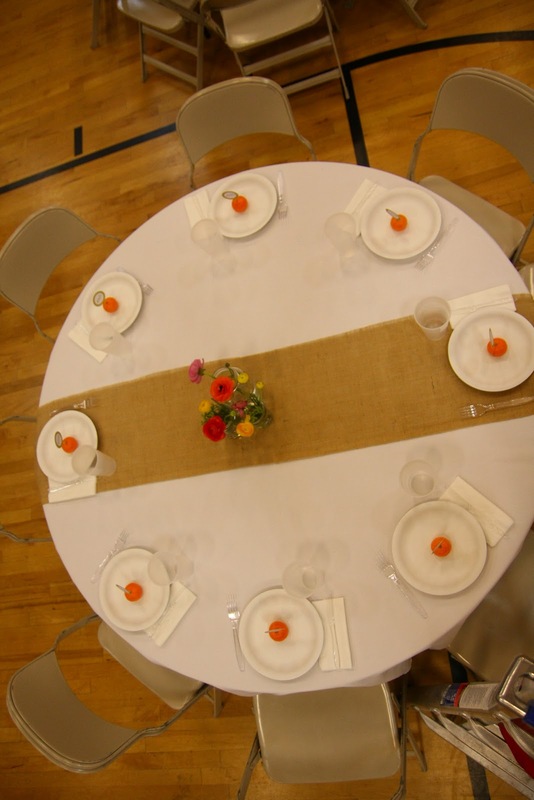 We primarily used ranunculus for the centerpieces. I thought they were beautiful. 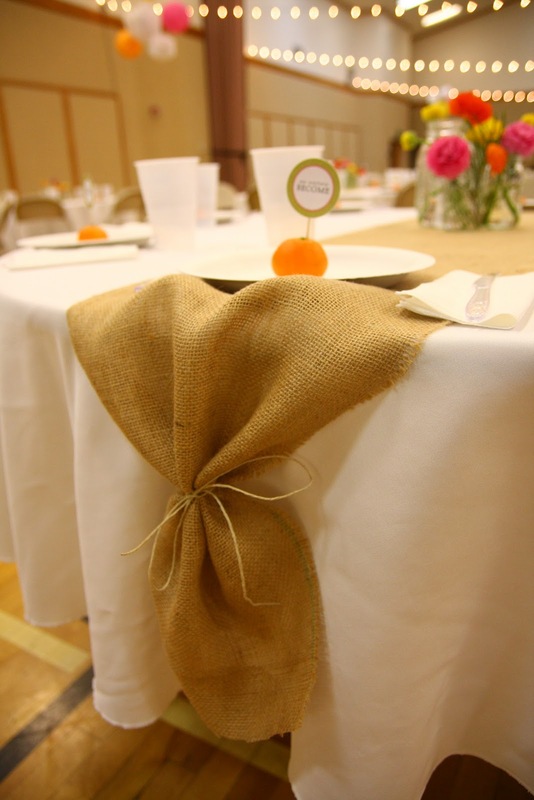 We had white tablecloths and burlap runners, I LOVED the burlap. We tied each end of the runner with twine, it was a simple touch, but I thought it added a lot. 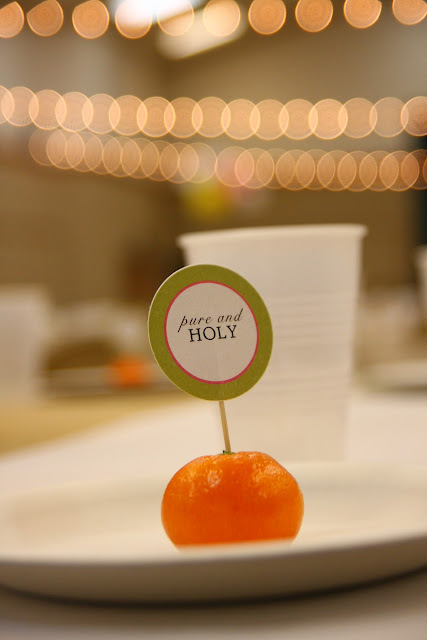 We had a clementine on each place setting. My friend Tamara designed, punched out and assembled 300 tags with different parts of the theme on them. It was the perfect pop of color for the tables. The table looks slightly bare in this picture, however, we needed room for the large salad platter, chips, salsa and rolls, and Mr. Photographer was gone by the time the lunch was actually served. 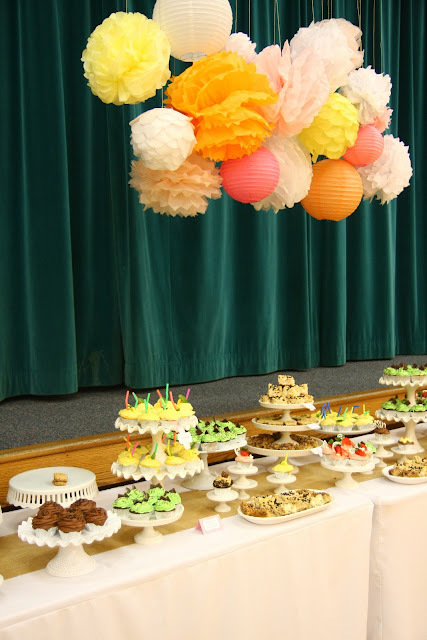 This was the pouf cluster hanging above the dessert table. I loved the impact. 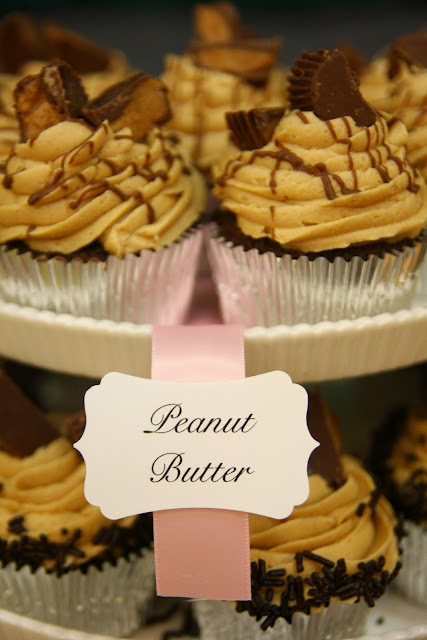 We made these tags to identify the cupcakes. Just a simple piece of ribbon with a label. Lots of people commented on the tags. I thought they looked lovely if I do say so myself. Overall I loved the way the whole thing turned out. Given an unlimited budget and all the time in the world it may have been easier to transform the gym, but I feel like we did a lot with a little. I had the worlds best committee, friends and family who all chipped in and made it possible. I feel so lucky to be surrounded by so many wonderful people.